The newly founded R&S Marinesysteme GmbH complements the expertise of the Rohde & Schwarz group in the national and international naval environment. The corporate group is investing in the Kiel location in order to provide even better support for the German navy and naval industry in current and future projects in close collaboration with the Hamburg location. 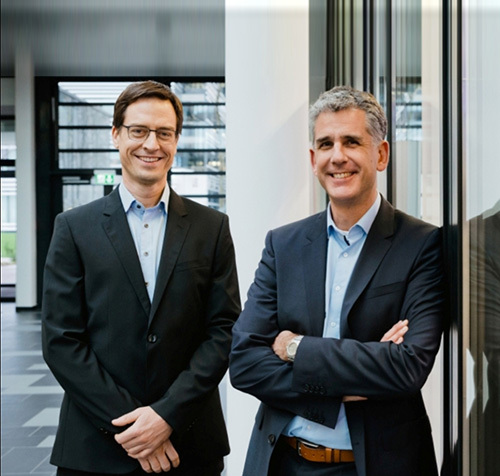 Dr. Dirk Galda and Benjamin Marpe (photo) have been appointed Managing Directors of the new company. “R&S Marinesysteme can rely on the Rohde & Schwarz group's many years of experience in the navy business,” pointed out Managing Director Dirk Galda. The Rohde & Schwarz technology group develops, produces and markets innovative communications, information and security products for professional users. The group’s test and measurement, broadcast and media, aerospace | defense | security, networks and cybersecurity business fields address many different industry and government-sector market segments. On June 30, 2018, Rohde & Schwarz had approximately 11,500 employees. The independent group achieved a net revenue of approximately EUR 2 billion in the 2017/2018 fiscal year (July to June). The company has its headquarters in Munich, Germany. Internationally, it has subsidiaries in more than 70 countries, with regional hubs in Asia and America.